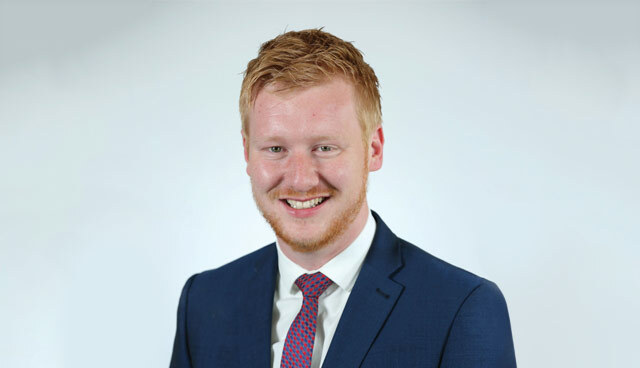 Daniel McCrossan is the SDLP MLA for West Tyrone since 2016. A law graduate and sport enthusiast, McCrossan is the party’s infrastructure spokesperson. I was born and grew up in the town of Strabane where I still live. My family are from Strabane and the surrounding area and have been involved in business for years. I have a large extended family, so you don’t have to go too far to find a McCrossan or a Wray. I attended a local mixed primary school, followed by Strabane High School and completed my A-levels in what was then the new Holy Cross College in the town. By the time I finished school, I studied Law at Liverpool John Moore’s University. It was a big step for me, growing up in a small town and leaving for a big city. It was there that I got involved in politics initially, joining the Labour Party where I was an activist as a student. I stayed on in Liverpool after graduation, initially working for a property management company. I took two weeks leave to come home and help Joe Byrne MLA with an election campaign in 2011. Joe would go on to be my mentor, friend and predecessor in the Assembly. I quickly left Liverpool as I felt a calling to politics locally. I could see people struggling, I could see their pain and could see that they needed representation. I was co-opted to the Assembly to serve West Tyrone in January 2016 and initially served on the Committee for Infrastructure, the Public Accounts Committee and latterly the Economy Committee and the Policing Board. These positions have proved to be rewarding. The ability to influence policy decisions to help people, families and businesses is hugely rewarding. It is sad however that I am not able to do this due to the bickering and brinkmanship seen since the Assembly dissolved two years ago. I first got involved in politics when at University studying law. I had an interest in it after studying A-level politics. I joined Labour and campaigned for social equality and social justice in Liverpool. I also had a big interest in raising issues surrounding suicide and mental ill-health. I also grew up in an area that lacks opportunity, prosperity and development. Strabane has some of the most humble, generous people who have so much potential. I want to give them the chance. I want to better their lives and give them a platform to excel in life, in their careers and by raising a family in knowing that their children will have the opportunities they deserve. I have seen what poverty, deprivation and unemployment has done to people here. I have seen how the State has failed people through lack of investment, infrastructure and amenities. I felt that I could do something constructive to change things. I worked for four years under Joe Byrne, opening a very busy office in Strabane, and represented these people. I saw that there was a massive gap in politics locally. The electorate were abandoned by the political elite and I wanted to rectify that. I believe that, over the past few years, I have successfully done that. It would be easy to say John Hume, Seamus Mallon, Martin Luther King, Barack Obama, all political legends in their own right and people I admire. I especially admire Hume and his passion, commitment and desire to achieve peace here in the North. I also admire Joe Byrne, my predecessor as the SDLP MLA for West Tyrone. He taught me a lot about politics, about the ideals of the SDLP and about the importance of keeping my feet on the ground and representing the ‘little man’ in society. What drew you to the SDLP? The SDLP has a long history in protecting the disadvantaged in society and in bettering the lives of those less fortunate here. Social democracy, nationalism and equality is what drew me to the SDLP. I believe we have been the only real party to truly deliver for everyone in society. I believe the SDLP is the only party that can deliver true reconciliation to the people of Northern Ireland. Twenty years ago, we delivered peace and the Good Friday Agreement. I believe it is now time that we delivered reconciliation and prosperity for everyone. 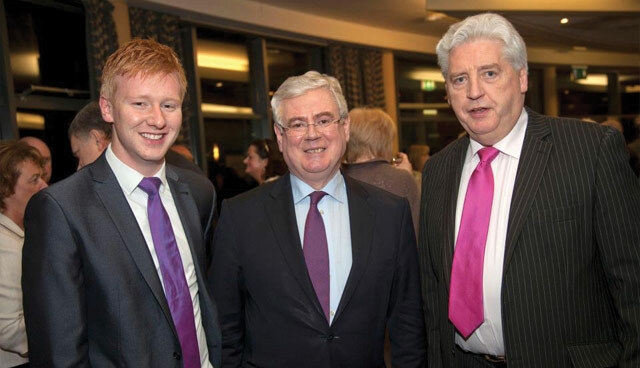 A young Daniel McCrossan with former Labour leader Eamon Gilmore and the SDLP’s Alastair McDonald. West Tyrone has many issues that I have been fighting for since becoming an MLA. The A5 road is perhaps the most significant infrastructure project on this island and one I have lobbied and campaigned for rigorously. 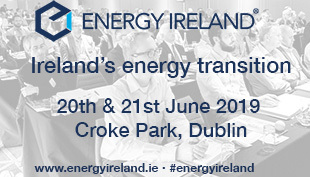 This scheme has the potential to save countless lives, increase investment and improve connectivity in one of the most isolated areas of Ireland. There are also major issues with disinvestment of local services, with waiting lists for people to get operations and with a complete lack of social and affordable housing. Suicide rates and mental ill-health is an epidemic here with many young people taking their lives because they can find no hope of a better future and cannot get the necessary help and support that they need. I am a supporter of Tyrone GAA team along with my local club Urnai. I also follow Strabane Athletic Football Team in Strabane town. I also enjoy reading, especially biographies about political leaders, influential people and law makers. Added to that, I enjoy meeting people and having a good social life like any other 30-year-old. I enjoy meeting the public and enjoy engaging with them on a wide range of issues.